There is an uneasy interface between competition policy and patent law, an inherent tension between these regulations. While patent laws give the inventor or the patent holder a monopoly by preventing the copying or imitation of patented goods, competition policy regulations, on the other hand, seek to ensure a fair market behaviour by barring rights holders from abusing their dominance of the market. 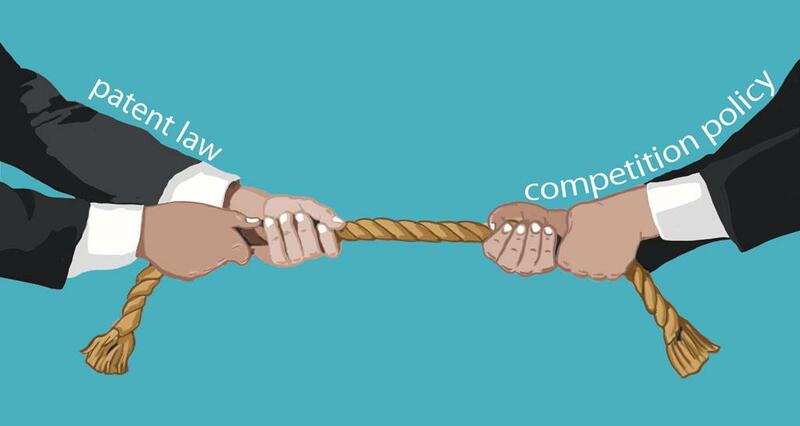 Finding the right balance between competition policy and patent rights is sometimes not easy and courts are frequently brought in to adjudicate in disputes where patent holders’ rights infringe on the operation of a free and fair market. The core principles of the system have been broadly framed by the government to ensure that the system simultaneously fosters innovation and remains consistent with fair market rules. There is also the question of public interest which is best illustrated by the ability of companies to access and use standard essential patents (SEP). These are basically technologies which have been accepted as standards to be uniformly accepted and implemented across various countries in order to ensure uniformity as with wireless standards for 3G, WiFi or Bluetooth. If a patent is deemed "essential" to a standard it means that every company that is in the business of making such devices requires a license. This gives owners of SEPs huge market power and many countries regulate it by requiring that holders licence their patents on Fair, Reasonable and Non-Discriminatory (FRAND) terms. In India, domestic smartphone manufacturers Micromax and Intex had complained to the Competition Commission of India (CCI) that Ericsson, holder of SEPs, was abusing its dominant position by demanding excessive royalties and refusing to be transparent about its licencing terms. In January 2014, CCI had found prima facie evidence that Ericsson was abusing its market dominance and ordered an investigation into its practices. However, Ericsson challenged CCI’s jurisdiction. Justice Vibhu Bakhru has now dismissed the challenge stating categorically that there is “no irreconcilable repugnancy or conflict between the Competition Act and the Patents Act”. As such, the jurisdiction of CCI to entertain complaints of market abuse against patent holders cannot be taken away. The ruling is important for its clarity on another issue which has led to legal tangles. Bakhru said if there is an investigation underway by CCI against a patentee, then the Controller of Patents can consider it if it is considering CL applications. However, if CCI has found a patentee’s conduct to be anti-competitive, the Patent Office would have to compulsorily consider it while giving its final order. Legal experts say in high-tech industries, patents are used strategically to saddle new entrants to the market with higher costs to gain access to technology. This is done through tough licencing norms or by throwing a patent thicket around critical inventions. While none of this is wrong in law, it circumscribes competition and impacts the consumer, specially where SEPs are involved. There have been several high-profile disputes over SEPs such as the Samsung-Apple case. Negotiations between the two broke down over what amounted to a "fair and reasonable" royalty-rate for SEPs. Samsung then applied for injunctions, leading to a messy legal row. Bakhru’s clear ruling should prevent any further confusion on the jurisdictions of these laws. Has Modi succumbed US’ pressure on patents?